Heartwarming Animated Family Adventure Featuring All-Star Voice Talent and Original Song by Carly Rae Jepsen Arrives on Digital HD November 7 and Blu-ray™, DVD, and On Demand November 21 from Lionsgate. 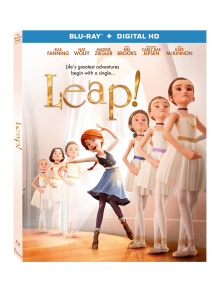 To enter for a chance to win a DVD copy of LEAP, send an email to contest@LatinoScoop.com. When entering, please submit your full name, email address and phone number. LatinoScoop will select a few winners. Winners will be notified via email.